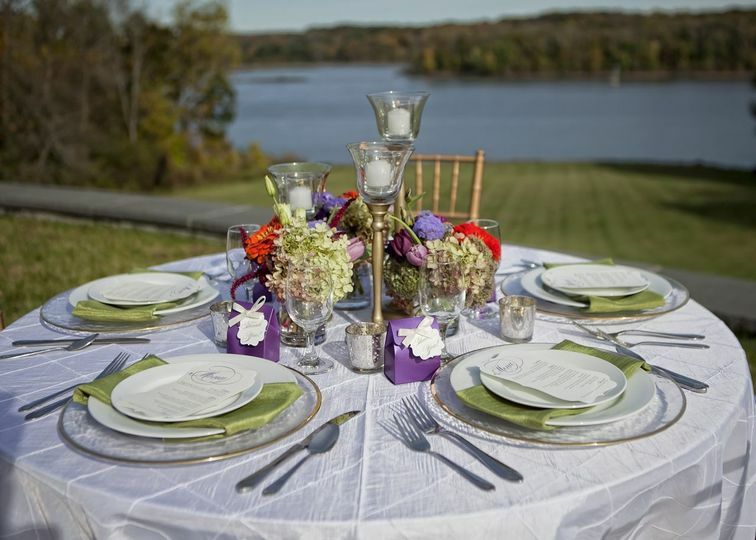 Welcome to Bassinova-on-Hudson, an elegant Hudson River wedding venue located 2 hours North of NYC, and 30 minutes South of Albany, where weddings and special events become extraordinary experiences. 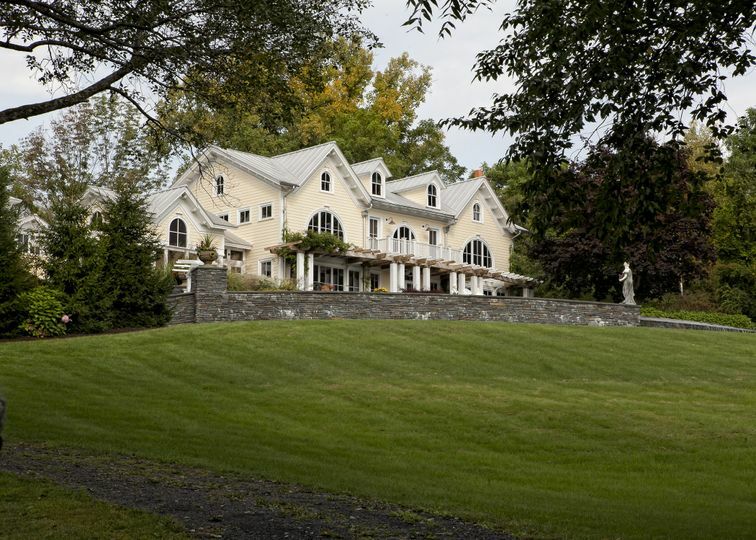 Nestled on over 31 acres of beautiful park-like splendor, this graceful Victorian manor is situated at the top of a 7 acre emerald green lawn which rolls gently down to a private beach on the majestic Hudson River. A family owned and operated gated estate since 1973, it is dedicated to providing guests with the finest atmosphere for your celebration. 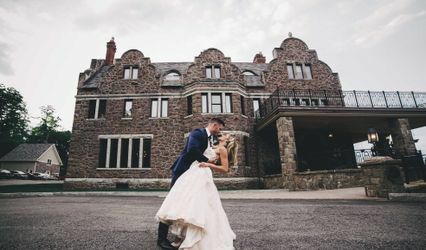 A perfect mix of natural beauty and sophisticated architecture, Bassinova-on-Hudson is the Valley's perfect setting to tie the knot. 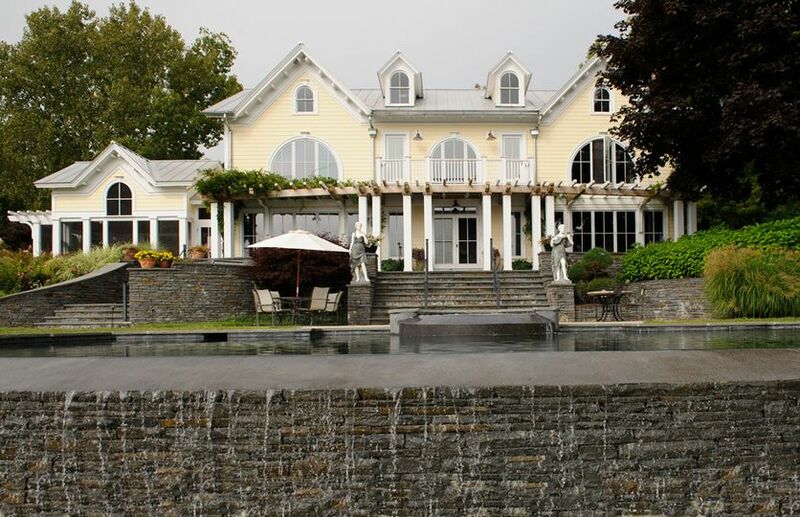 One of the largest wedding venues in the area, Bassinova-on-Hudson easily accommodates major event gatherings of 400 persons as well as intimate events of 25 people. From the moment you pass though the front gates, it is apparent that is a special place. With its beautifully manicured landscaping, and magnificent infinity pool and spa, it is sure to provide you with the grace and luxury you always imagined on your special day. 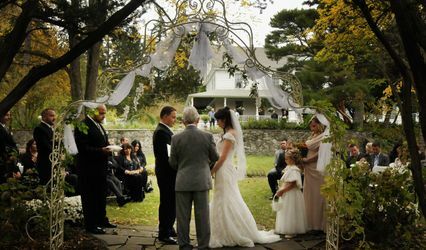 The main ceremony and party location is tucked away behind a forest of pines and maple trees – providing plenty of privacy for your event. 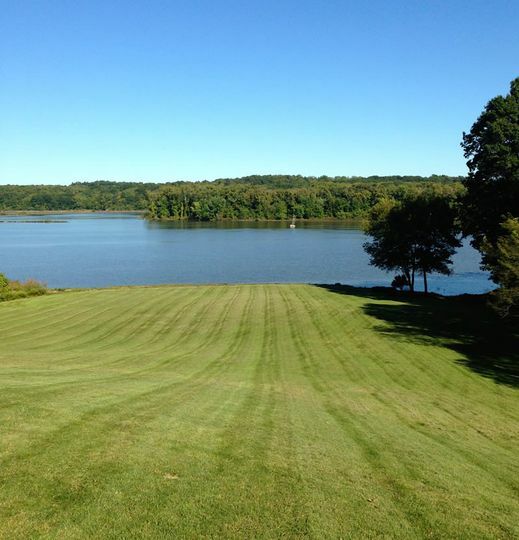 Bassinova-on–Hudson is an oasis frequented by Bald Eagles, grazing deer and cotton tailed rabbits, all of which contribute to the ambiance of charm and natural beauty. 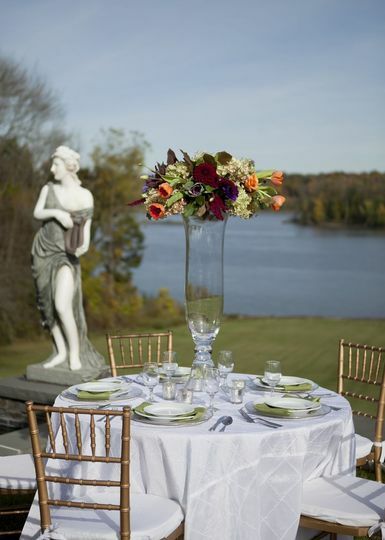 It's one-of-a-kind arboretum-like grounds are perfect for a wedding venue or private event. My husband and I were first at Bassinova-on-Hudson at night. It was summer and the sweeping grounds down to the river were literally twinkling with fireflies. I told him that, when I was a little girl, that's what I thought magic looked like. He said, "Maybe it is." From that moment through the moment we drove away as man and wife, we could not have been happier with either the place or the people. You are surrounded by green, the sky is huge, the river is powerful. 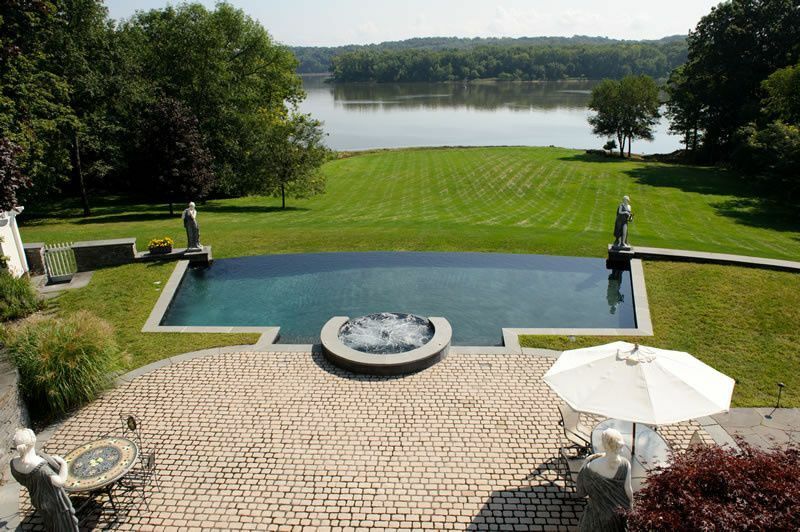 It is both open and private - absolutely the ideal blend of spaciousness and seclusion. What a stunning setting for such a monumental occasion in ones life. 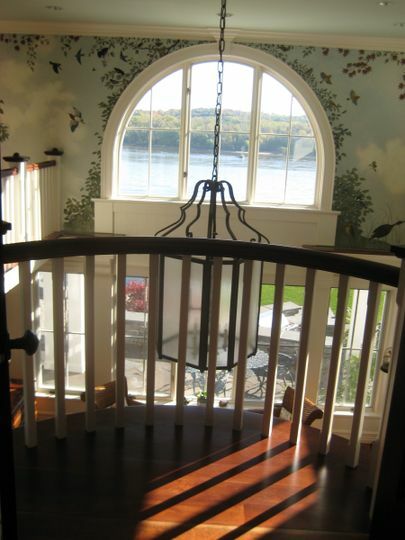 Bassinova-on-Hudson is a beautiful, natural, park like setting offering the scenic beauty of the countryside and of the Hudson river from inside this gorgeous property, or from the terrace, the pool, or from a peaceful walk around the gardens. 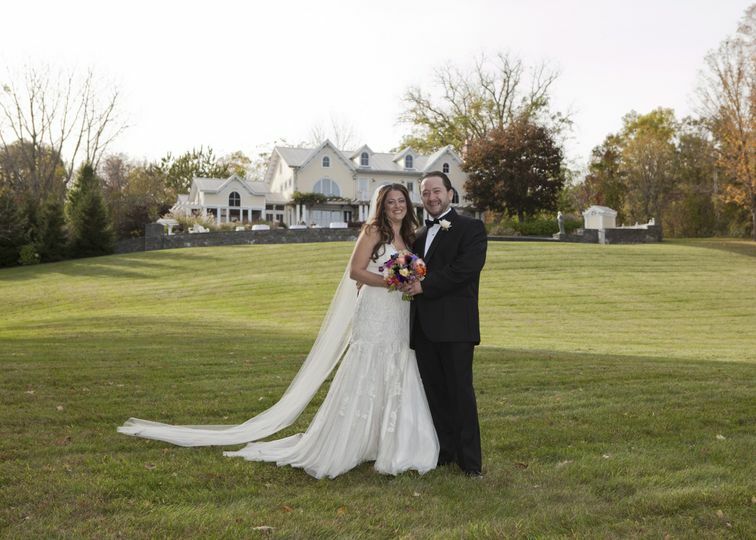 Our ceremony was held under the shade of a beautiful tree, on the lawn that spreads down to the river, on a lovely sunny day and we could not have been happier than to share this occasion with a small group of friends, in such a perfect place. Just a quick note to Bassinova on Hudson to say thank you for the best start a marriage could possibly have! 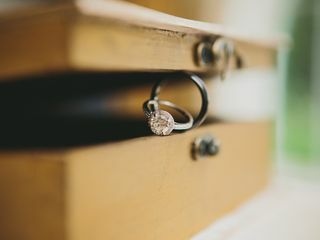 After months of searching for the perfect venue I feel lucky indeed to have booked our wedding with you. 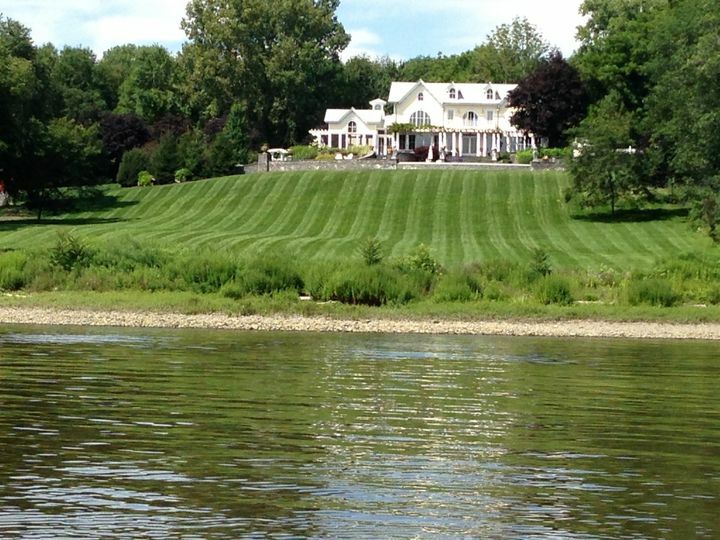 The scenic view of the river, the glorious Gatsby-like great lawn and the Victorian manner completed our life long dream to make the final step from Prince and Princess to King and Queen in style. 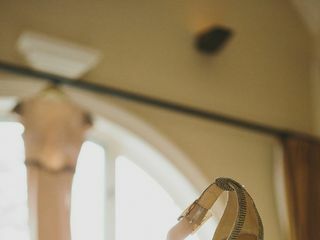 From start to finish our wedding and reception was as much fun as it was picturesque. 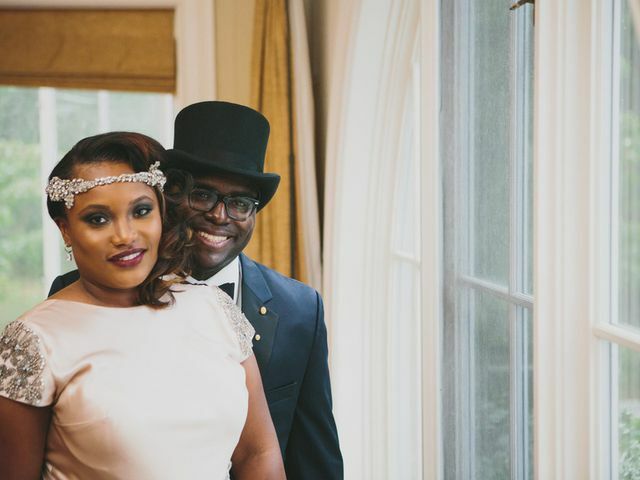 Our guests felt like royalty and every need was met effortlessly. Even the uninvited guests - two bald eagles soaring through the sky seemed to be enjoying the day as much as we did. Thanks Bassinova on Hudson, you have our highest recommendation!